Come with us on a Journey to the West. 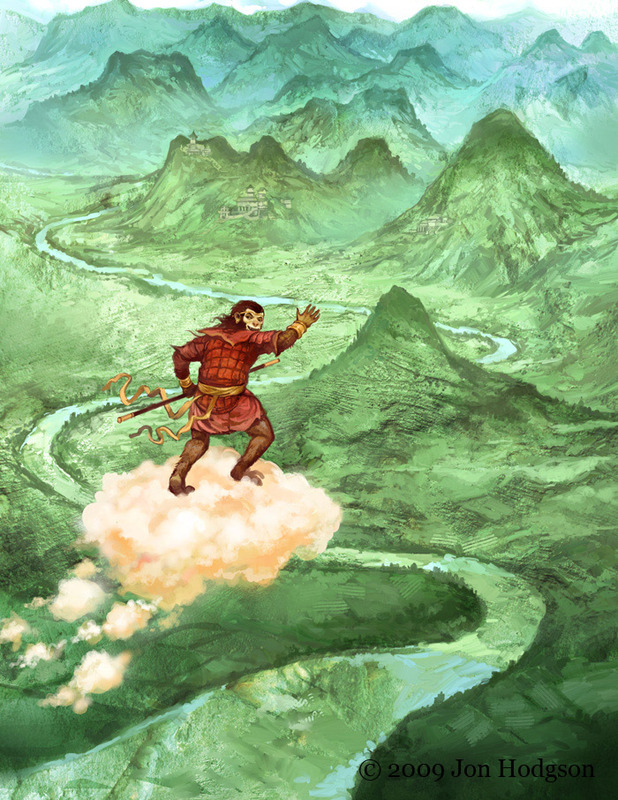 Based on the Chinese classic “The Journey to the West” or “Monkey” as it is commonly known, this is a storytelling game set in a mythical China where out of grace Immortals seek Virtue on Earth in an attempt to re-enter Heaven. It’s simple rules allow for any sort of action that you can imagine, from fast-paced kung-fu to heated debates. This book contains all that you need to play, except a pack of standard playing cards per player and your imagination. Here is a preview of the current out of print version, using the introductory chapter. Please note the game is currently undergoing redevelopment into a 2nd Incarnation (which is what I’m calling the 2nd edition 🙂 ) which is due out June 2016. Read the announcement of it on the Monkey Magic blog for more details. Monkey the 2nd Incarnation (which is what I’m calling the revised 2nd edition of the game).